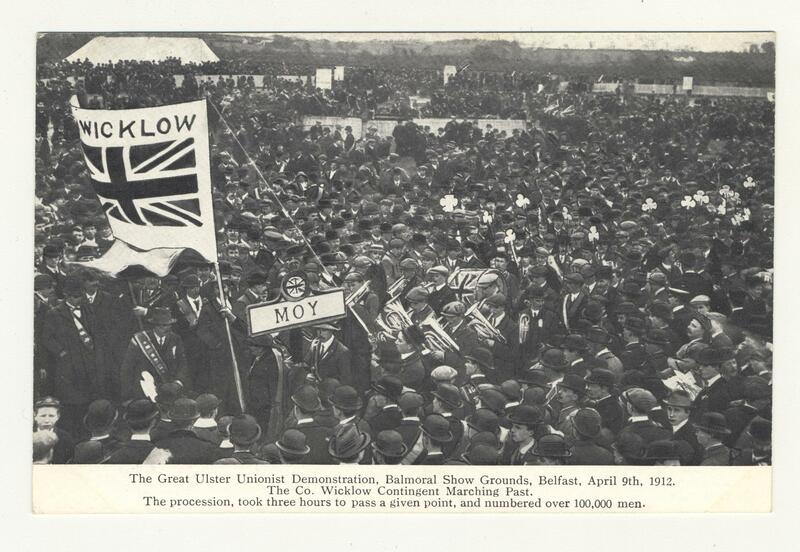 Postcard showing 'The Great Ulster Unionist Demonstration, Balmoral Show Grounds, Belfast, April 9th, 1912.' The Co. Wicklow Contingent Marching Past. The Procession, took three hours to pass a given point, and numbered over 100,000 men.